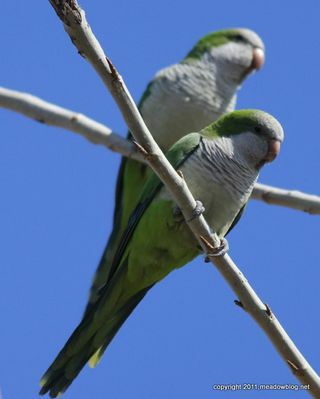 We dropped in on our Monk Parakeet pals in Ridgefield last week, and they are as boisterous as ever. They appear to be using both the railroad bridge and the manmade nesting poles for housing — the special nesting structures were built last spring to provide housing while the bridge underwent repairs. We counted at least 20, and there are no doubt many more. 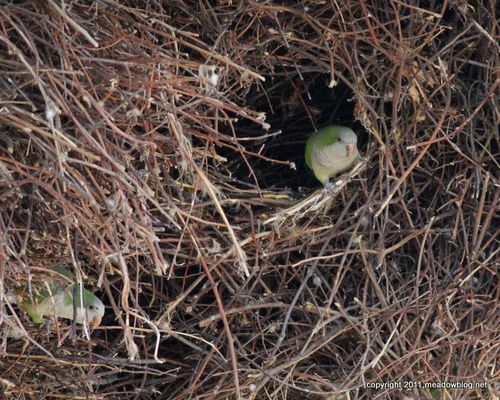 Directions to the Monk Parakeet colony are on the left-hand side of the blog.